Mariaglorum gave us an entertaining way to start the weekend. This new release, Mystery of the Ancients: Black Dagger Collector's Edition is a fun and busy hidden object puzzle adventure game. There is a lot of work for you to do to save the day once again. Prepare to travel through time and dimensions! The whole game is very action-based keeping you busy and glued to the screen. You get a call to come and help a police station under attack. They say that the attacker had supernatural strength and you might be the person to be able to find all the answers and fight the enemy. The story is not new - you are fighting the Dark Lord - but it is put together in a unique way. You get back to the medieval times to learn all the connections and links. And you travel to a different dimension because of the supernatural character of the matter. The graphics are beautiful as always creating the atmosphere of the medieval and modern times well. The same goes for the music and sounds. All of the scenes are colorful and detailed without being in the ocean of blue and purple. 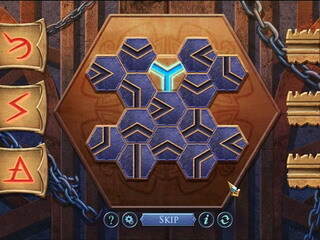 One of the things that you notice about this game right away is the abundance of puzzles. It is not just that there is a lot of puzzles as one of the activities, it is that you get to play puzzles as part of almost every activity. You are going to find puzzles in hidden object scenes and in achievements. And they are not all the same, some are simple and easy, some are more complicated and challenging. But do not think that there is not much to do for you if you are more of a HOS person. 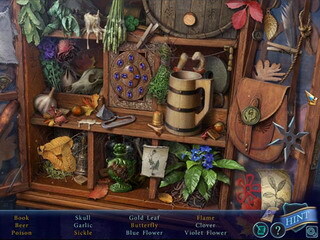 The hidden object scenes are very well done with a lot of thought and creativity put into them. There is a lot of interaction in the HO scenes and the whole game is very action-based keeping you busy and glued to the screen. The game gives you achievements to earn and collectible items to find. There are a few media extras, like wallpaper, concept art etc. And once you are done with the main game, you get to play a bonus chapter that is a sequel to the main story. It is one of the best HOPA games out there and you need to check it out for yourself if you are a fan of the genre! This is Mystery of the Ancients: Black Dagger review. Download this game here.